For more than a half century, Father Damien Modeste has served his beloved Native American tribe, the Ojibwe, on the remote reservation of Little No Horse. Now, nearing the end of his life, Father Damien dreads the discovery of his physical identity, for he is a woman who has lived as a man. To further complicate his quiet existence, a troubled colleague comes to the reservation to investigate the life of the perplexing, possibly false saint Sister Leopolda. Father Damien alone knows the strange truth of Leopolda's piety, but these facts are bound up in his own secret. He is faced with the most difficult decision: Should he tell all and risk everything . . . or manufacture a protective history for Leopolda, though he believes her wonder-working is motivated solely by evil? 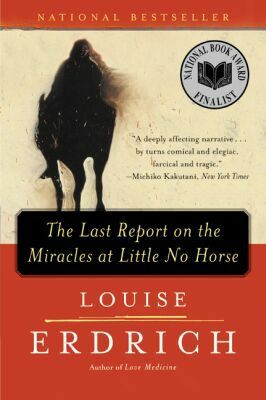 In a masterwork that both deepens and enlarges the world of her previous novels set on the same reservation, Louise Erdrich captures the essence of a time and the spirit of a woman who felt compelled by her beliefs to serve her people as a priest. The Last Report on the Miracles at Little No Horse is a work of an avid heart, a writer's writer, and a storytelling genius.